There are reasons why it is vitally important for people to learn their country’s history — all of it, including the bad stuff. Knowledge of history is vital so that societies can continue focusing on what made them successful while avoiding a repeat of mistakes that led to darker periods in a nation’s past. President Abraham Lincoln was one of our country’s greatest presidents, having led the country through its darkest period — the Civil War. But because they have either never learned of his presidency or because they were taught a skewed version of history, some Americans today are lumping him in with a different part of the same period. As reported by The Daily Caller, a bust of Lincoln was heavily damaged and burned in Chicago — which is in Illinois, the same state where Lincoln was born and raised. And while Chicago Police (as of this writing) do not have any suspects in the crime, it would seem to vindicate President Donald J. Trump’s prediction that, in addition to slave-owning figures of the Confederacy being vandalized, other American icons like slave emancipator Lincoln would be next. In reading the comments below Lopez’ post, it’s understandable why even Lincoln’s bust has become fair game in the erasure of American history — all of it. Many commenters supporting the defacing of the bust are black, which is really difficult to understand, considering he issued the Emancipation Proclamation, which freed all slaves in the Confederacy. 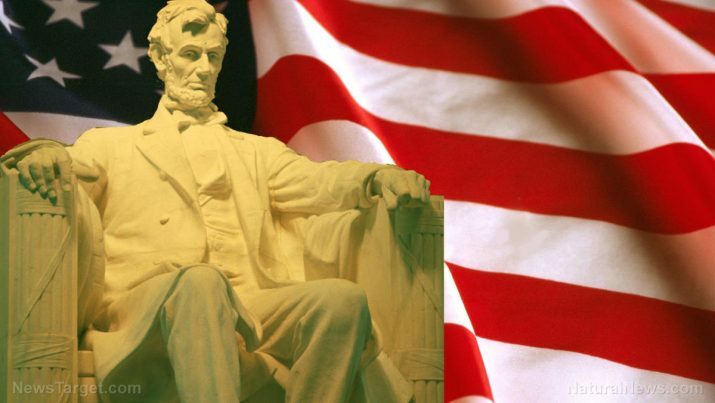 “Abraham Lincoln freed slaves to preserve the union. He has been quoted saying he didnt [sic] feel people of color should be treated equal to whites. Basically ‘I dont [sic] think u should be slaves but you’re still not s**t to me’ And plenty of other racist s**t. Know your history,” wrote one. There were others, but you get the drift. Of course, the president’s sage advice and spot-on prediction will be drowned out by shouts of “He’s a racist bigot!” — because that’s how the Left “debates.” It’s how they “win” disagreements; they shout generalities and make accusations, regardless of how far from the truth such accusations are. Not all of course, but many black Americans cling to the belief that “the system” is just as stacked against them today as it was in the 1860s, despite all the evidence to the contrary, so they don’t want to talk about it, especially with anyone who’s white (because “they don’t get it”). Not all of course, but many whites continue to ignore and insult the feeling of inequality that many blacks truly feel is a legitimate concern, so they don’t want to talk about it, especially with anyone who’s black (because “they don’t get it”). And this massive divide is exacerbated by a disgustingly dishonest “mainstream” media inhabited by sickos who behave like they can’t wait until we all start shooting each other. We’re left with an irreconcilable problem that is going to explode into massive violence some day.